Conveniently nestled between the Intracoastal Waterway and the pristine beaches of Jupiter, Fla., Mangrove Bay Senior Living Community offers its residents the best of both worlds: All the benefits of our waterfront community combined with a full spectrum of senior care services to create a premier senior living community. Our Residents enjoy beautiful surroundings, on-site amenities and social programs as well as continual on-call medical care. A wide array of services and amenities are available to suit each resident’s wants and needs in an atmosphere dedicated to the closeness of family and friends. Our Community is located in the heart of Jupiter, situated close to area shopping centers, theaters, beaches and local attractions such as the Gardens Mall, Loggerhead Marine Life Center, Jupiter Lighthouse and Museum, Maltz Theatre, Roger Dean Stadium, Carlin Park and the Atlantic Ocean. We are also connected to the newly completed Jupiter River Walk, which meanders along the banks of the Intracoastal Waterway, affording our residents spectacular views and sunsets. Jupiter Independent Living at Mangrove Bay affords you the opportunity to enjoy the freedom to do the things you want to do, when you want to do them. The choices are yours everyday. We provide a hospitality-centered community experience beyond expectations. Life at Mangrove Bay includes a rich variety of scheduled programs, events and outings coordinated by our knowledgeable staff. Enjoy an afternoon at our outdoor heated pool and soak up the rays on our beautiful sun deck. Our fitness center offers state-of-the-art exercise equipment designed specifically for seniors and offers fitness classes instructed by our program director. Our Transportation and Limo Service offers complimentary trips to and from your favorite local destinations, and can assist you to your appointments. Our residents enjoy fresh, healthy dining options prepared by our Executive Chef and our community’s culinary and dining service team. Whatever your pleasure, the choice is yours, and it is our pleasure to arrange it! Our Jupiter Assisted Living is designed to provide you or your loved one with a nurturing, comfortable, home-like environment. At Mangrove Bay, we adhere to the highest standards of senior living while providing a special touch. Our residents receive personal and comprehensive care and are consistently treated with the dignity and respect they deserve. Our Jupiter Assisted Living residents and residents’ families receive valuable peace of mind knowing that a certified nurse is on staff 24 hours a day and a security system is in place for residents with mild dementia. Whether our residents need help with day-to-day activities, getting to appointments, or medication management, our caregivers kindly and competently meet your needs. Explore nearby cities like Palm Beach Gardens. Ms. 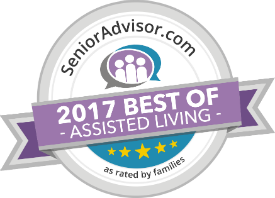 Wise has worked in the senior housing industry for over 21 years and has spent the last 15 of those years with Senior Lifestyle. Her favorite part about her role as Executive Director of Mangrove Bay has been ensuring that her residents enjoy the best quality of life possible. “When you walk in our door, you can feel the comfort and happiness of everyone you meet!” she says. Kathy holds an associate degree in accounting. For fun, she enjoys exercise, boating, fishing, and spending time with her husband and grandchildren. Kathy is excited for you to experience Mangrove Bay for yourself! Mangrove Bay was a nice-looking place and very upscale. It seemed to be a very nice facility. Everybody there seemed to be very caring. It was a very beautiful place that had a beautiful view. There were lots of activities, and it was a very nice community. My wife and I have lived in Mangrove Bay for over 1 year.Selection of new home based on proximity to our family including great-grandchildren.Having experienced both Independent living and the assistant living sections we are so very pleased with the calibre of personnel at all levels.There is a genuine desire on the part of most to make all guests feel comfortable in their home.Special requests are given special consideration.The desire of personnel including especially the people in Assisted living to excel in creating “family like”environment to have every person feels special.Maintenance of the facility is top notch-both inside and out.We are proud to have our family and friends visit.The varied activities are designed and implemented to make them very desirable and fun for those anxious to participate.The Mangrove Bay management te am makes a great effort to solicit participation of guests in a variety of ways to constantly improve our lifestyle.The Jupiter location on the water and the location in Florida make Mangrove Bay a great place for this chapter of our life including very capable medical doctors and facilities.A great pace to Live! “My wife recently told me that we had to visit aunt Mable. Auntie is a 79 year old life long bachelorette. I must say that visiting Auntie in a “”Nursing home”” was not my first choice of fun on a saturday afternoon. Being the good spouse, I decided to tag along. When we arrived at Mangrove Bay, the term nursing home quickly left my mind. We entered the building and where greeted by marble everywhere accented by floor to ceiling pillars. There was a Front desk reception area rivaling any 5 star hotel. We where greeted everywhere we went and when the nurse on duty came to give aunt mable her medication, she apologized for the interuption. Auntie’s room was spacious and when we where in her room she couldn’t say enough about the staff and her new home.